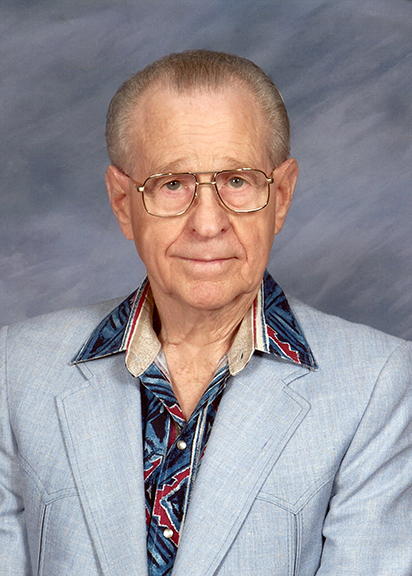 Van E. Cox, 90, of Port Neches, died Friday, February 8, 2019, at Port Arthur Community Retirement Home. He was born July 28, 1928, in Gonzales, to Hattie May Cochran Cox and Jessie Guy Cox. Van was a World War II United States Navy veteran. He retired from Texaco in 1984 after thirty-five plus years. In his younger years, he enjoyed fishing, hunting, and dancing. He was always very meticulous about his automobiles and he loved jalapeno cheddar Cheetos and Dr. Pepper. Survivors include his daughter, Barbara Roy and her husband, Michael, of Port Neches; son, Guy Cox, of Buna; grandchildren, Kelly Gerlach and her husband, Walter, of Orange; and great-grandchildren, Sydney Burrows, Madelyn Gerlach, and Reagan Alston. He is preceded in death by his parents; son, Roger Cox; grandson, Martin Alston; and brothers, Jessie and Joe Cox. A gathering of Mr. Cox’s family and friends will begin 3:00 p.m., with his funeral service at 5:00 p.m., Tuesday, February 12, 2019, at Broussard’s, 505 North 12th Street, Nederland. A private burial will be held at a later date in Rosanky, Texas. Memorial contributions may be made to Gulf Avenue Church of Christ, 4300 Gulf Avenue, Groves, Texas 77619. Rest easy Brother Van. You are a great Christian and a beloved friend and I Thank You for your service to our country. I will bring the chocolate covered peanuts and Dr. Pepper when we meet again!.